"Israel is truly an amazing place to visit. Home to many world renowned historical and religiously important sites, there is so much to see and do." A historic Holy Land, whose beauty and religious significance mean that it has been fought over for almost its entire history. It is one of the most important places to have ever existed and has unquestionably shaped the history of the world. Its capital Jerusalem is one of the holiest places in the world for three of the planet’s major religions, with Christians, Jews and Muslims all considering it to be a place of pilgrimage. Yet it also contains vibrant modern cities like Tel Aviv, places of spectacular natural beauty like the Dead Sea or the Sea of Galilee. This combined with the incredible variety of people and cultures that you will find there, along with delicious cuisine and great nightlife, makes for an almost unbeatable holiday destination that everyone should see at least once whether on a city break or family holiday. Due to its diversity, Israel is best discovered by visiting more than one part of the country, utilising the guided tours and excursions we offer to help you fully appreciate the importance of this destination. 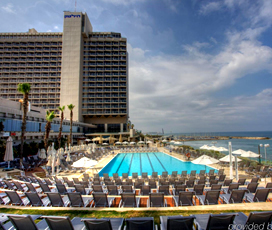 With Cyplon Holidays' knowledge and expertise of Israel, we can help you get whatever you want out of your holiday to Israel. Israel is a Middle Eastern country situated on the Mediterranean Sea. It borders Palestine, Lebanon, Syria, Egypt and Jordan and is the only Jewish state in the world. It is most famous for its importance to three of the world’s major religions, with Christians, Muslims and Jews all regarding it as ‘the Holy Land’. Its capital Jerusalem holds places of religious significance, including the place where Christ was martyred, the place where Muhammed was borne to heaven and the most holy sight in Judaism. 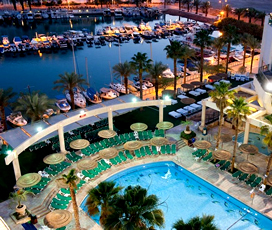 Its financial centre Tel Aviv is a bustling and modern city, packed with exciting nightlife, while it also plays host to Tiberias on the Sea of Galilee and the Dead Sea, renowned for the healing properties of its water. The country has a medium-sized population of around 9 million people and the official language is Hebrew. 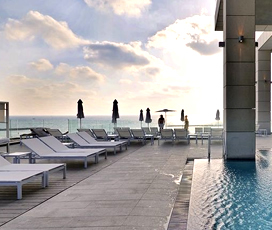 The amazing city of Israel is blessed with a warm Mediterranean Climate that gives it hot summers and mild winters. The majority of the tourist destinations like Jerusalem and Tel Aviv average around 25 degrees in August and never get colder than 14 degrees in January. This is different in desert areas, such as the Dead Sea, where temperatures average above 20 degrees all-year-around and August can reach a baking 39 degrees. Visitors should also be aware that the more elevated regions can also have a varying climate, but in general it is as hot as somewhere like Italy in summer. The history of Israel is long and complicated with Jews tracing their roots there back to ancient times and the figure of Abraham, who established the first covenant with God and whose sons supposedly founded the first Israeli nation. The earliest evidence of actual Jewish occupation of Israel, followed the Jewish exodus from Egypt, when a figure known as Moses, supposedly led his people out of slavery and back to the promised land. Israel was then ruled by a succession of Jewish kings, with the most notable being King David and King Solomon, who ruled the country in the 10th and 11th century BC. They are credited with the founding of the capital Jerusalem and built several important shrines that still stand to this day. The kingdom fell in 587 BC, when the Babylonian Nebuchadnezzar captured the country and exiled the Jews to Babylon. The land was then ruled by a succession of powerful empires, including the Persians, the Ptolemies, the Romans, the Byzantines, the Crusaders, the Ottomans and the British Empire. The area is famously the birthplace of Jesus, who Christians consider to be the son of God, who was crucified by the Romans in the capital Jerusalem in around 33 AD. It is also sacred within the Islamic tradition thanks to the belief that Muhammed was taken to heaven from the famous Temple on the Mount. This importance within three religious traditions meant that it was hotly contested and was subjected to a series of Christian crusades in the Middle Ages, when pious knights sought to win back the ‘Holy Land’. The most famous of these battles was the third, where the English King Richard the Lionheart, failed to defeat the Muslim Saladin. The persecution of the Jewish people in the 20th century, caused the Zionist movement to be formed, which believed that Jews would only ever be safe in their own nation, eventually leading to the formation of Israel in 1948. This remains a contested issue to this day, with tensions between the state of Israel and Palestine commonly at the forefront of world politics. Israeli cuisine is some of the most varied and delicious in all of the world, thanks to the incredible range of culinary traditions that it encompasses. It is greatly influenced by the many empires that held hegemony over the area, including Mediterranean and Arab influences. This coupled with the large number of people from the Jewish diaspora that moved back to Israel, once the state was formed, means that it also encompasses Russian, Central European, North American and many, many more. Many of the most popular foods are well known around the world, with things like Falafel (fried chickpeas), Hummus (blended chickpea paste), shakshouka (fried eggs in tomato sauce), couscous (a flavoured type of rice) and moussaka (aubergine lasagne) all extremely popular. 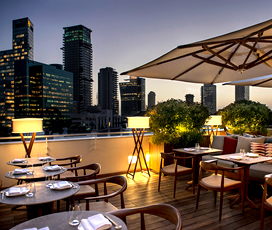 However, perhaps the best thing about Israel is the sheer range of street food and authentic restaurant food that you will find there, and we thoroughly recommend sampling as many different cuisines as you can during your visit. Israel has only in the last 20 years been making a name for itself in the wine world despite the region having made wine since biblical times. Quality wines produced in the Golan Heights region as well as Galilee and the Judean Hills. There are now over 300 wineries in Israel producing both Kosher and non-Kosher wine varieties. Israel is also renowned for its premium citrus fruit, so the freshly squeezed orange juices are a must have. 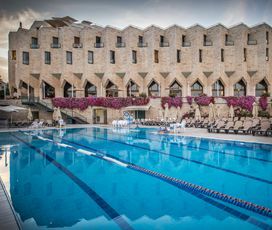 As a destination, Israel has something for everyone, ensuring that the younger members of the family are bound to enjoy themselves during their family holiday. 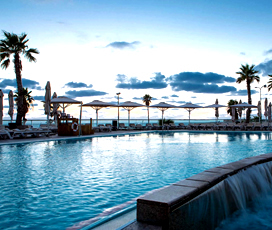 It is blessed with several incredible expanses of water, including the turquoise waters of the Mediterranean, the historic Sea of Galilee and the healing waters of the Dead Sea, ensuring aquatic fun for everyone. King’s City is a biblically themed entertainment venue, with a host of fun rides based on biblical events. While active families are sure to enjoy Israel’s many National Parks, such as the Masada National Park near Eilat, which contains many stunning views and geological wonders. Considered one of the most historically important places in the world, there are many pivotal places to visit, such as the ancient city of Jerusalem, which is considered to be a holy site for three of the world’s major religions. It contains the Temple Mount, which is the holiest site in Judaism and the place that Muhammed supposedly ascended to heaven, along with the Church of the Holy Sepulchre where Jesus was crucified, among a myriad of other incredible places. 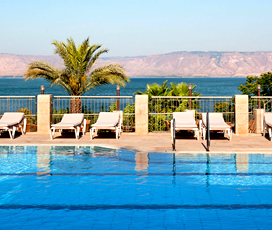 It is also home to the Sea of Galilee, where many of Jesus’ miracles were supposed to have happened and the healing waters of the Dead Sea, where no life can exist due to the high salt levels. 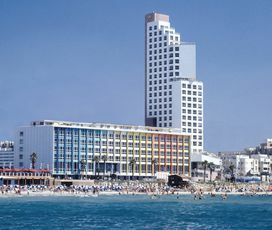 Other places of note include the vibrant town of Tel Aviv, which plays host to the ancient city of Jaffa and Masada National Park which overlooks the Sea of Galilee and contains a fort built by Herod. 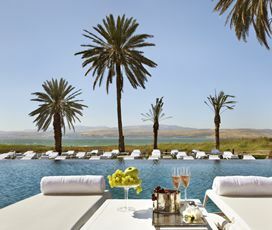 There is quite possibly too much to do in Israel. This is why we would recommend to anyone travelling to Israel to visit more than one place. 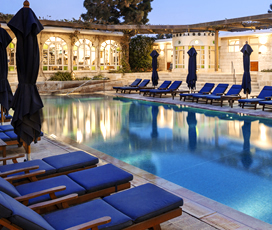 Israel’s rich diversity makes this destination ideal for a tailor-made, multi-centre holiday. 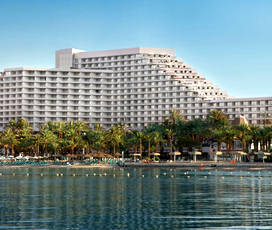 Here at Cyplon Holidays, our expertise and knowledge can help you get the most out of your time in Israel. 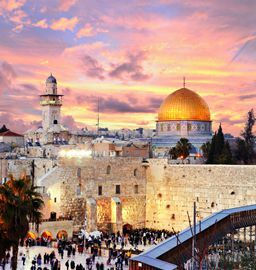 Starting with the historical and religious sites, of which most are concentrated in and around Jerusalem, there is the Western Wall, the Dome of the Rock, Al Aqsa Mosque, Church of the Holy Sepulcher, Mount Zion and Mount of Olives. 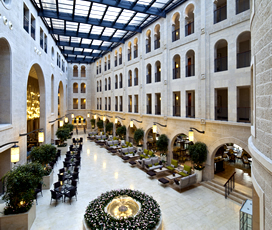 It is highly recommended that a stay in Jerusalem is accompanied by guided tours and excursions so that the importance of the places you visit is fully appreciated. Day excursions and tours can be arranged through Cyplon Holidays in advance, however those looking for a fully immersive and educational experience are recommended to book one of Cyplon Holidays’ set guided tours. 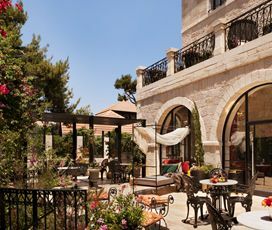 The best shopping is found in the cities of Jerusalem and Tel-Aviv, where visitors can purchase unique handmade products from around the world. Traditional Jewish jewellery is currently all the rage with the best place to purchase authentic things being Jerusalem. You can also purchase iconic and beautiful Armenian pottery, with the best place to do so in the Armenian quarter of Jerusalem. Israel is also a multicultural melting pot, meaning that there is plenty of excellent embroidery on sale, which can be found in the Muslim Quarter of Jerusalem or from markets in places like Tel-Aviv. This along with a plethora of other great products traditionally made in countries that are part of the Jewish diaspora like Russia mean that you can find pretty much anything you want in Israel.